Last Friday, June 19th, Andy returned for a rematch. Once again, the retinue of Baron Lannister would face off against the Thane of Wulfsted. 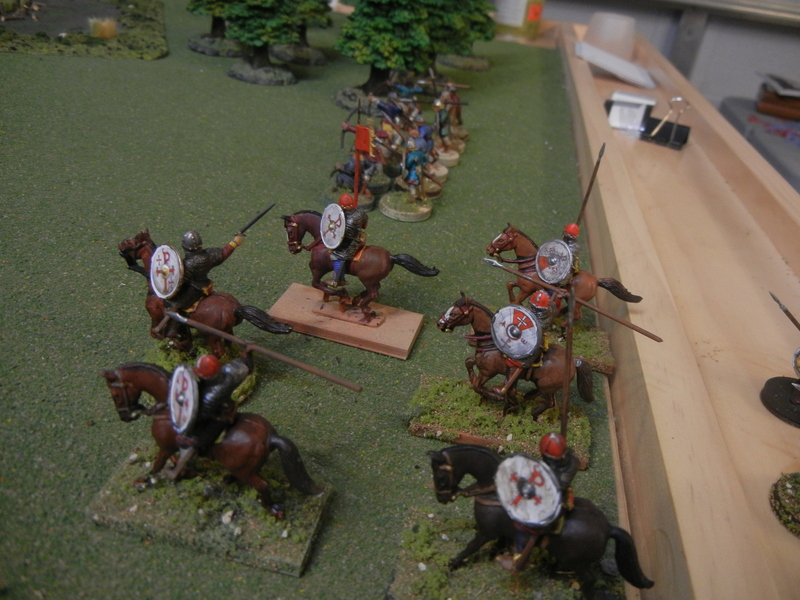 The forces were mustered. I counted the Huscarls as Mounted Men At Arms. They were my only mounted unit. 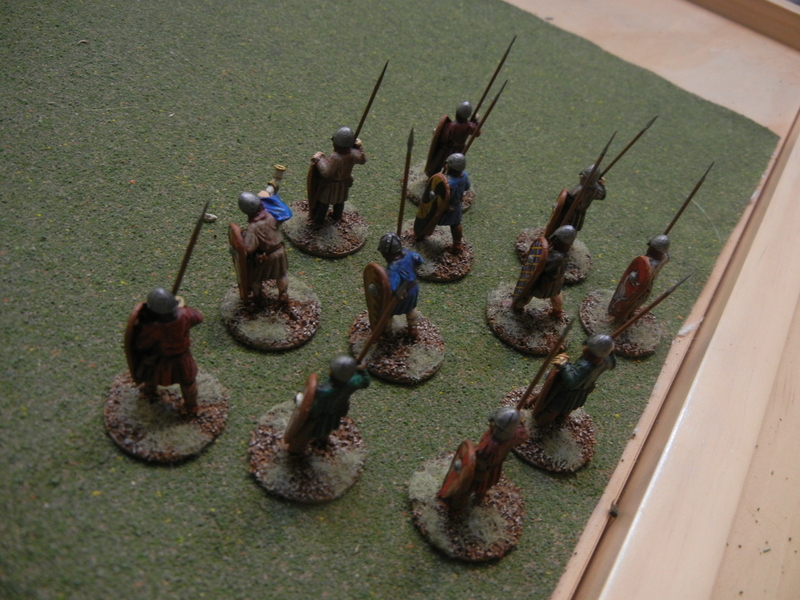 One of two units of mixed Foot Yeomen. 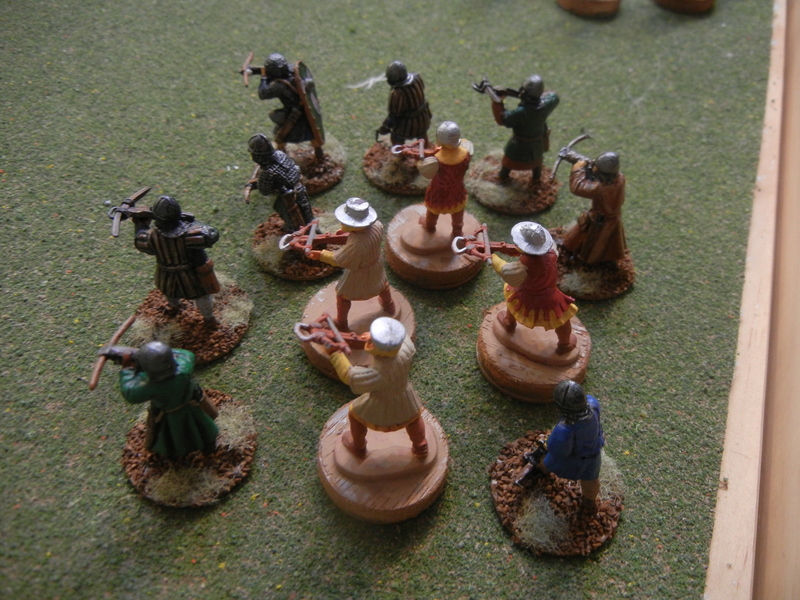 I also fielded a unit of Expert Foot Sergeants. 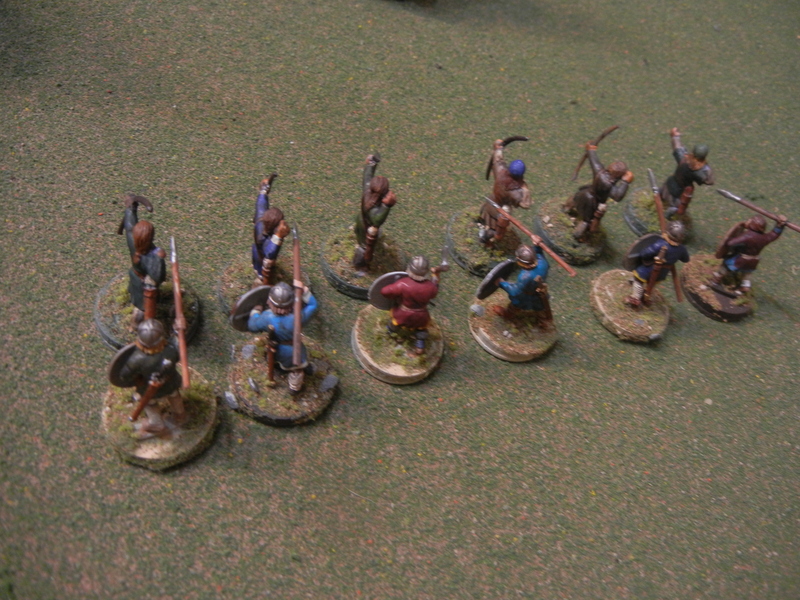 The entire retinue came to four units and 22 points. I suppose I could have fielded a unit of Bidowers just to boost it up to 24 points but I didn’t. I wish now that I had as they are a very useful unit. I was especially interested in how well the Mixed Foot Yeomanry would do. 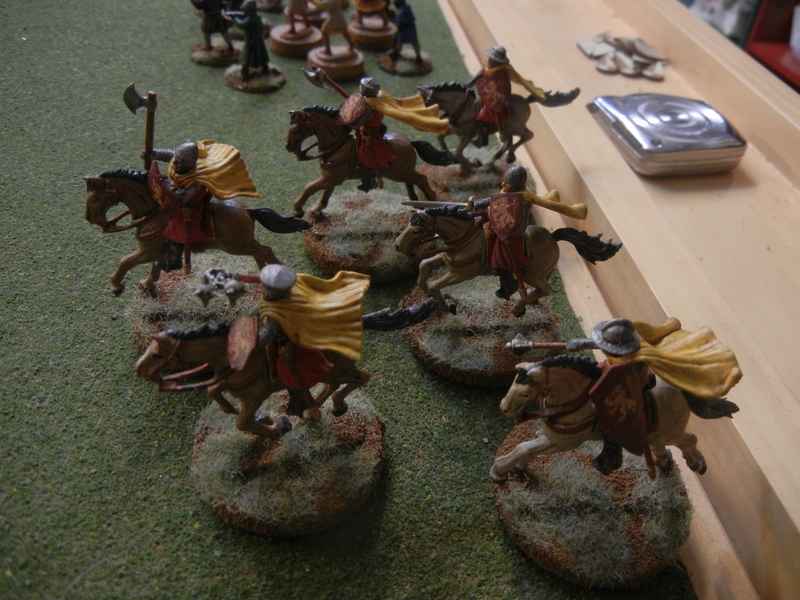 Baron Lannister brought the following in his retinue. The Baron and his knightly bodyguard. 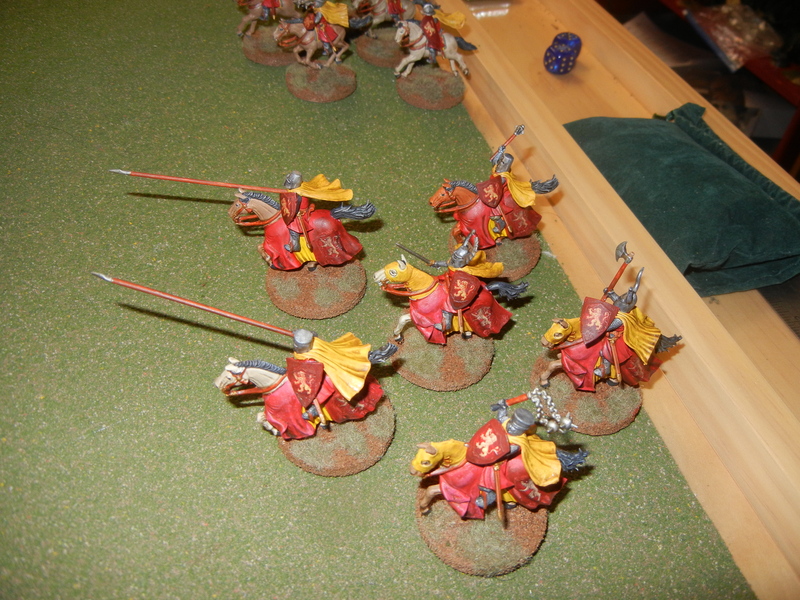 Mounted Men At Arms that were very nicely painted. 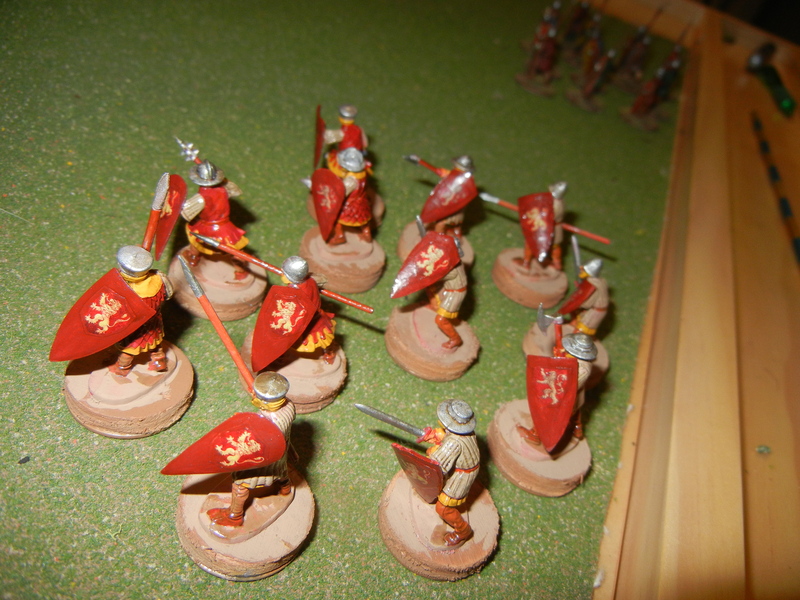 House Lannister Mercenary Foot Sergeants. Andy fielded 5 units at 24 points. It was a formidable force. In Part 2, we will look at the battle and its aftermath.